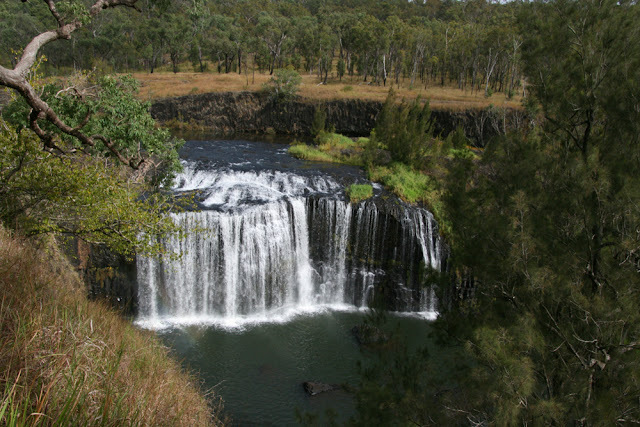 Well our visit to the beautiful Atherton Tablelands ends tomorrow. We have stayed at Ravenshoe Railway grounds for almost a week and have loved it, even though it has rained most of the time. This time of the year is normally the dry season up in these parts but for some reason Mother Nature has put the wet on for all of us. Ravenshoe is claimed to be the highest town in Queensland and the Ravenshoe Hotel claims to be the Highest Pub in Queensland but while in Herberton the other day a local said that their pub was the highest. Mmmm a bit of country town rivalry it seems. Just west of Ravenshoe are the Millstream Falls which are said to be the widest falls in Australia. I would say that measurement would be when the falls are flowing in the wet season during summer. Today we drove some 35km to Innot Hot Springs. You can soak in the creek for free, but I have tried that and the water was so hot I couldn't even put my toe into it. 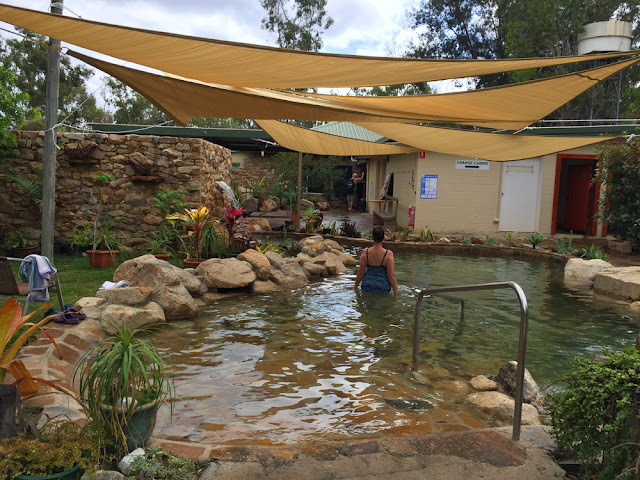 So today we decided to pay the $10 entry fee to the caravan park and indulge in the 6 pools. Although I only got into five as one felt just like the creek did - hot! 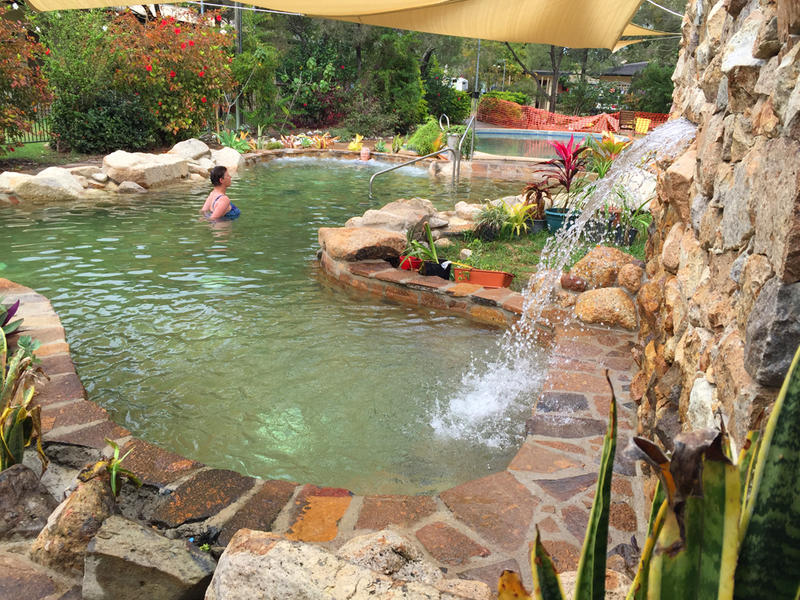 As I am still having some very annoying issues with my frozen shoulder it was nice to have a soak in the hot mineral water.